First, a disclaimer - this is a bit of a rant but I will do my by best to make it non-judgmental and hopefully express some ideas that I've spent a good deal thinking about the last few years but only recently had to grapple with on a professional level. In 1997 I began my foray into the world of Geographic Information Systems (GIS) by deciding it would be a good idea to learn how to transform my mundane (and smelly) blueline-based geologic map into a magical and digital masterpiece (this was but one of many disappointments in my life). 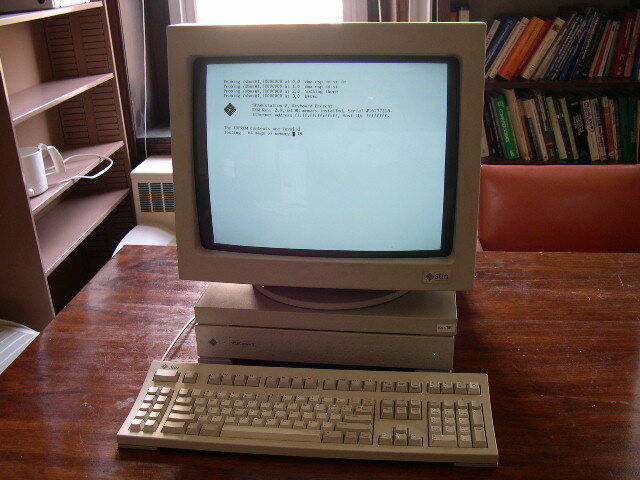 My tools were a Sun Workstation (no, I don't remember the model or how little RAM or how slow the CPU was, but it didn't matter then) and PC/ARCINFO. It was a learning experience to say the least, mainly in the art of troubleshooting and self tutoring (oh, and self-restraint by not taking a sledgehammer to the entire lab). By self-tutoring, I mean the joy that was "Understanding GIS - The ARC/INFO Method." My first semester in graduate school at UNLV (circa 1998) I thought mana had fallen once again when introduced to ArcView 3.0 - what a PRETTY GUI you are! The thrill subsided after the honeymoon of course (I obviously no longer think it's a pretty GUI) and I fought many a segmentation violation (in my mind I always came out victorious). I completed some 'official' coursework in both an introductory course and an advanced spatial modeling course and learned A LOT through trial and error (read that as repetitive and humbling failures) and integrated it as much as possible into research endeavors. So I definitely learned the ropes through a specific platform and software suite but there are numerous options for harnessing the power of a GIS using that foundational knowledge. And therein lies the rub. Software is only mentioned once in that list of attributes (yes, I did that on purpose) and yet, the platform and software get all the attention and has become a means to define the 'system'. So here's where I get ranty: neither the operating system or flavor of software should be the mechanism by which we judge the analyses or the product nor in the academic sector, how we effectively articulate and teach the fundamentals of using a GIS. When I first read The GIS 20: Essential Skills I thought - with few exceptions - I could teach most of these with PC/ARCINFO; I wouldn't WANT to, but I could. Just like I could teach most of these essential skills with any number of FOSS alternatives. Which will draw the inevitable chiding that by doing so (that is, by not teaching one specific software package) I would be doing a disservice to my students. Well, I don't buy it. Colleges and universities have the luxury of academic pricing (one way to make the masses demand a product on departure) and therefore every fall or spring I teach the latest and greatest version of any software package I happen to be using (hint, hint - wink, wink). And I too use these great products because I can (you would too, don't lie) but the argument that marching into the world, diploma in hand - with evidence of proficiency with a specific software package - is required to stand in for a proficiency with geospatial literacy doesn't hold water for me. BUT job postings specify it you say? Sure they do. 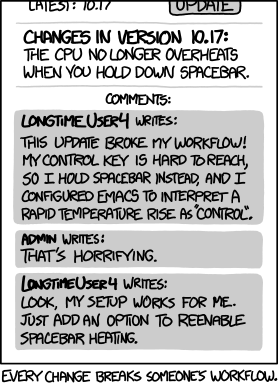 And I have colleagues working for non-profits, state agencies and the NPS who are still using 10 year old software. So sometimes (and perhaps this is the exception) there is a disconnect between the folks writing a job announcement and the environment where a new hire might end up working. In this fabricated alternative reality I've concocted (if you're using 10 year old software, blow up the comments section please) should I be making decisions based on software or what is necessary to understand how to create and query a database (no, I didn't specify a geodatabase) to produce a cartographically accurate and aesthetically pleasing visualization? Yeah... I'm going to go with the latter too. The GIS&T doesn't specify software, the GISP certification doesn't specify software, and the Geospatial Competency Model (GCM) doesn't specify software... So let's be honest and admit your GIS isn't better than mine (or theirs). You might be more comfortable using a certain suite (life-long learning anyone? ), you may have written special scripts (pssst, you migrated from AML - Avenue - VB - Python, you will be OK), and you might enjoy a semi-seamless integration between various products (I get it, I do) but it doesn't make one version, suite or option better. To be clear, I'm not advocating for software in either direction (proprietary or FOSS), I'm urging educators and employers to think about what we should be teaching and what skills and expertise they want recent graduates to have (I'm leaning away from monkeys who know how to click buttons in the right order, but let me know...). Hopefully it's clear this isn't a diatribe against a company or a choice to use a particular software package per se, but rather about the trend towards defining a GIS by the platform it's using.